Apple and Google are eagerly taking shots at the next-generation in-car infotainment systems with CarPlay and Android Auto, respectively. 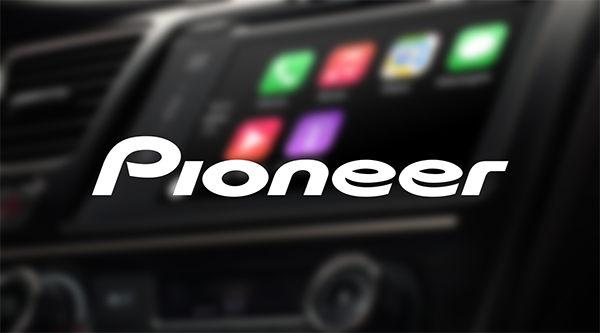 Normally available as separate services on dedicated receivers from various manufacturers, Pioneer has started to ship its first aftermarket system with both CarPlay and Android Auto included in one unit. Head over the jump for further information. 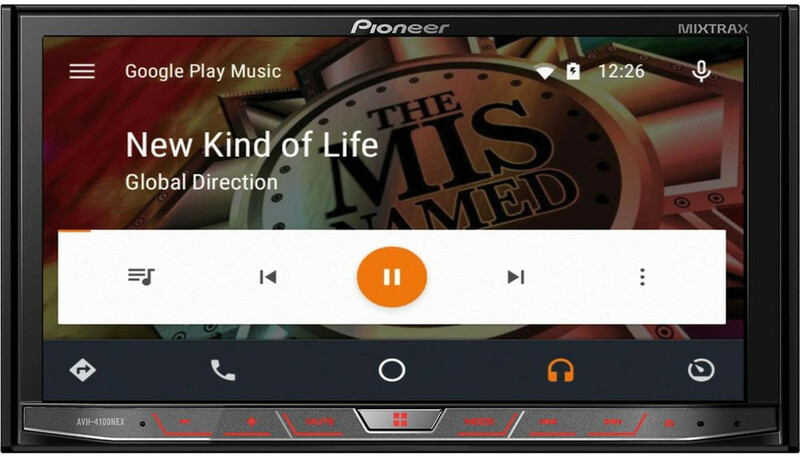 If you were looking for a new in-dash infotainment system for your car, Pioneer has just started shipping its entry level unit called the AVH-4100NEX, which offers both CarPlay and Android Auto under one roof. This means that whether users have an iPhone or an Android smartphone, they will be able to easily pair up their device to the unit and control it directly by interacting with the UI displayed on the in-dash receiver. Coming in at $700, this “entry level” unit is definitely not priced like one, but with both CarPlay and Android Auto still limited to only a niche segment, the price is not much for being that early adopter especially when you’re getting the best of both worlds. The unit sports a double-DIN head, that is mainly covered by a 7-inch touch-screen enabled display, which is a richly-sweet size for an in-car infotainment system. Though Pioneer has gone with the more ancient ‘resistive’ touch technology; something that is still pretty common amongst in-dash systems. The 4100NEX will support all Android devices running Android 5.0 Lollipop and above, or iPhone 5, 5c, 5s, 6, and 6 Plus. 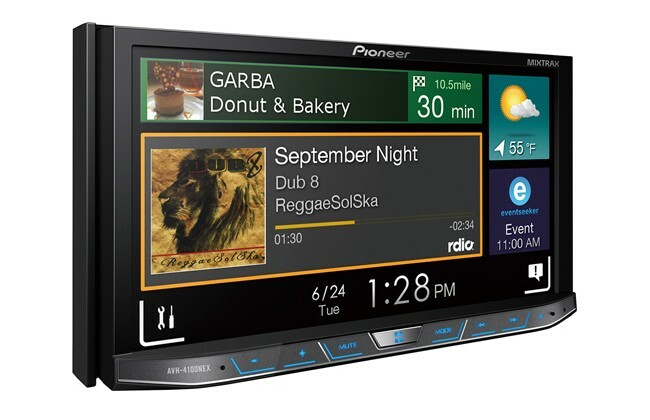 The Pioneer AVH-4100NEX is definitely not the first unit to have hit the market supporting both CarPlay and Android Auto, but it is a first for the old and famous electronics manufacturer. Pioneer had earlier announced the existence of such a unit during the Consumer Electronics Show 2015, along with two more models that were the 7100 and 8100 priced at $1,200 and $1,400 respectively. Now you see why the AVH-4100NEX is pitched as an entry level system? If you’re not much concerned about branding, you should also look at the Parrot RNB6 which not only offers both Apple CarPlay and Android Auto, but plenty of extra features as well. What do you think of this new offering by Pioneer? Will you be getting one? Let us know in the comments section below. This is still too expensive for me… I also would love a capacitive screen. I’ll be waiting for a more reasonable price like $300. …Even if it only offers Android Auto and no CarPlay, I’d get it.